Software have released an album of me, C.Spencer Yeh and Okkyung Lee. 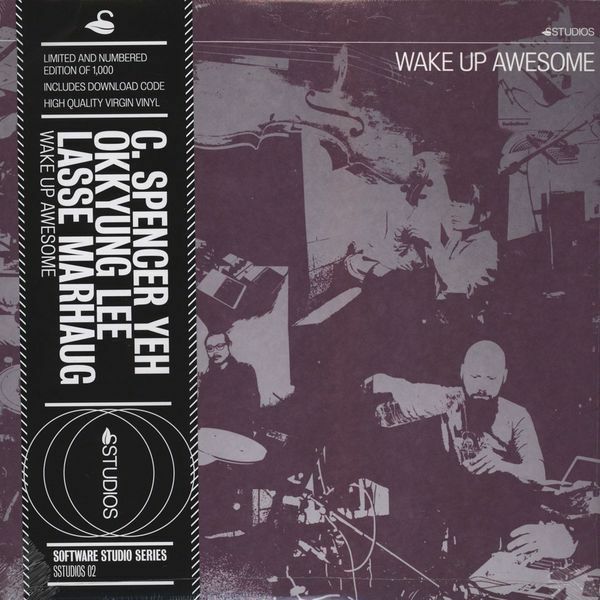 Titled “Wake Up Awesome” the album was recorded in Brooklyn at Gary´s Electric in Brooklyn, New York as part of Software’s Studio series. Available in three formats: LP, CD and DL. I’ve got copies of the LP for sale. So, I finally got around to getting a new website. The old one looked nice, it was made back in 2004 and had a good run, but in the last few years it slowly died because it was such a hassle to update it. Now a good man called Mats Lande has helped me out and set up this new site up for me. It doesn’t look fancy outside, but under the hood it’s finely tuned so that I can update anything at the drop of a dime. This website is about information.